Christian is very incautious—undignified . . . something is lacking in him—what people call equilibrium, mental poise . . . self-control and personal reserve are both lacking . . . Christian busies himself too much with himself, with what goes on in his own inside . . . he has a regular mania for bringing out the deepest . . . of these . . . there is such a lack of modesty in so much communicativeness . . . 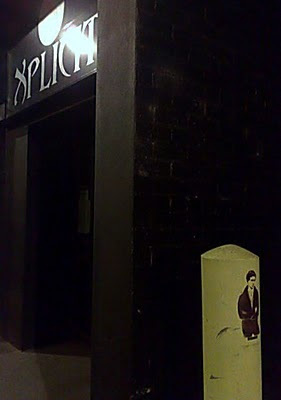 I have a soft spot for "spillers" like, Christian. 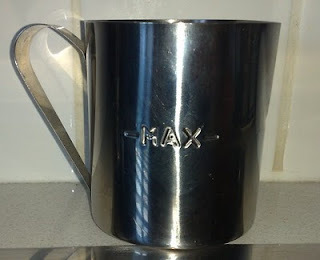 Max Steele, whose intimate blog entries are tagged: Apocalypse, Feelings are Hard, Imaginary Boyfriends, Music, Nightmares, Pain, Revenge, Romance, and Tooth Drama, is a spiller, too. He’s a writer, performance artist, go-go dancer and singer living in NY (more enviable bio info here) but I only really know him as a blogger. I’ve been following his blog (it’s so much easier than stalking) for about a year now. Is it fair to ask people to pay me money to hear, essentially, stories? Is that really fair? I sometimes ask myself: Is it fair that people have to put up with my stencils, essentially, graffiti? Is that really fair? Graffiti isn't art, it's vandalism. 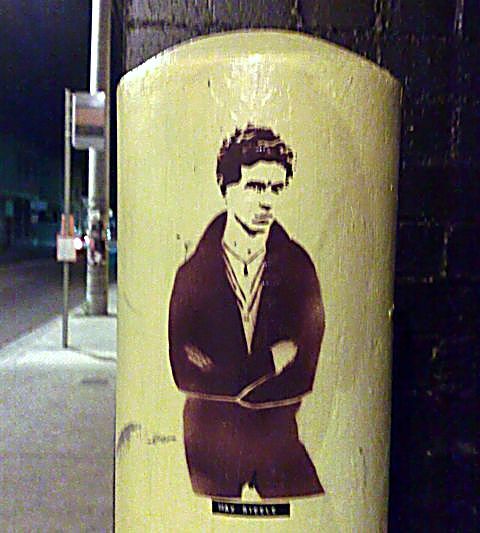 Big deal, he uses stencils. Oh wow, how artistic. Sandblast the crap off the walls and send the bill to him . . . 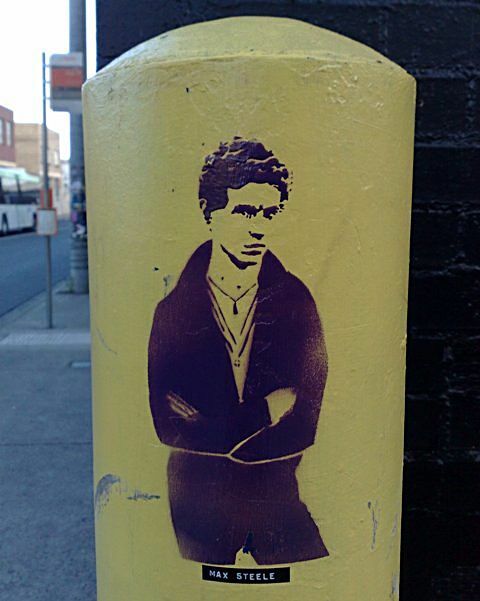 But then when I saw the photo of Max in Interview Magazine I thought, Oh wow, it would make a pretty good stencil and I think it’s fair to say he looks great in purple on the yellow pole outside Xplicit (my chess partner reckons it brings out his brooding quality better than the photo). Sadly, I'm predicting he won't last long there, which will be a shame given he's a major improvement on the gents who usually loiter outside the club on venue nights.